“Don McKay” – Thomas Haden Church is the titular character, a janitor who returns to his hometown after 25 years. He tries to rekindle a romance with his old flame (who happens to be dying). Also stars Elisabeth Shue, M. Emmet Walsh, and Keith David. Coming soon! Story: Nancy (Langenkamp), Tina (Wyss), and their friends are having nightmares involving a man with burnt skin wearing a glove that has razor blades attached to it. They find that their parents, years before, killed a local janitor they believed to be a child murderer. His name was Freddy Krueger (Englund). Now, Freddy’s back to exact revenge on the parents by killing their own sons and daughters in the world of dreams. Of note, this was Johnny Depp’s first movie. What do we know now? : Music video director Samuel Bayer is helming this “re-imagining” of the franchise. Jackie Earle Haley (Rorschach in “Watchmen”) is set to play Krueger (a part initially thought to be given to Billy Bob Thornton). Rooney Mara plays Nancy Thompson. Clancy Brown and Katie Cassidy also star. The release date is set for April 30, 2010. You wear gloves with blades in them. A hat covers your head, giving shade to your mottled, burned skin and sinister grin. You can enter a person’s dreams, twisting and turning them as you wish and even causing death. But, how did you get here? 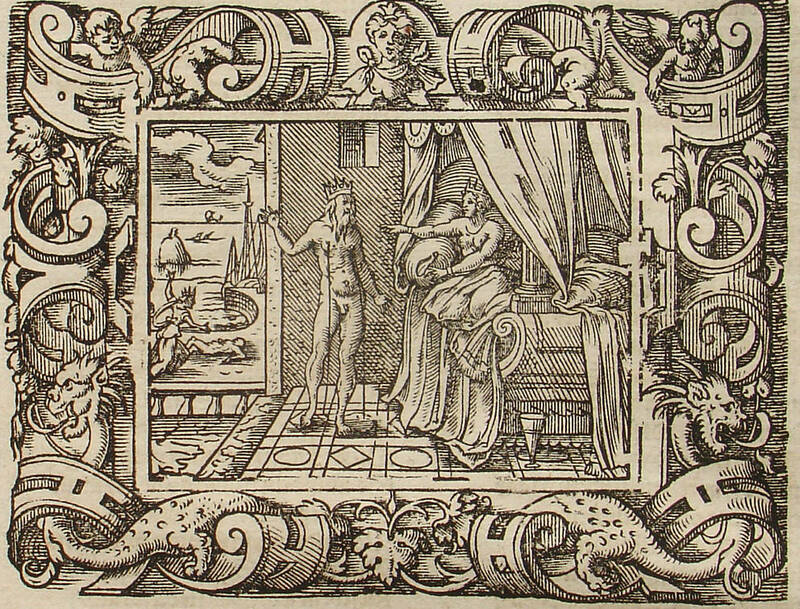 Let’s take this one back to the Greeks: everyone has heard of Morpheus, the Greek god of dreams. What some do not know is that he had two brothers: Phobetor, who creates “fearsome” dreams, and Phantasos, who creates unreal dreams. This triumvirate ruled the world of dreams. With all the stories based on “bad dreams” and Morpheus taking the heat of it all it was only a matter of time before a being to control them would rise from Hollywood. 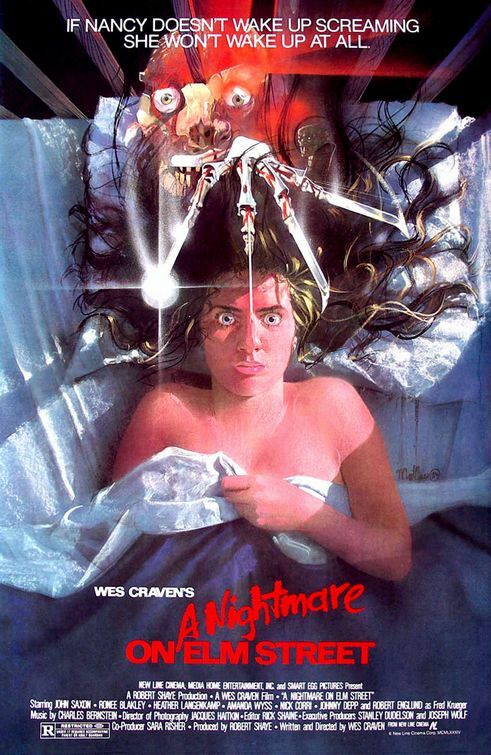 In 1984, Wes Craven delivered “A Nightmare on Elm Street” to the American cinematic doorstep. Filmed for $1.8 million (and earning $25 million), “A Nightmare on Elm Street,” involved a group of teenagers who collectively are experiencing bad dreams. When cuts and bruises that happen in dreams transfer over to reality, the teen Nancy Thompson finds out that the “demon” in her dreams with the knife-finger gloves and the hat is Freddy Krueger (Robert Englund), a child murderer who had been killed a decade earlier. Devising a trap for Freddy the teens make a go of it, but Freddy wins in the end. 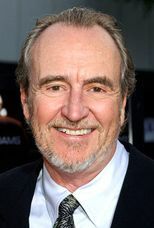 Being written and directed by Wes Craven, he claims that the character was based on a homeless man who stared at him from the street as he looked through a window in his house (the hat), and a bully at his school (the name of the character). As for Freddy wearing a bright red and forest-green striped shirt, he had read an article in Omni magazine stating that the worst combination of colors would be those two, which is why he used them. And as for the kids dying from dreaming in their sleep, that was based on an article in the L.A. Times about such an event occurring. 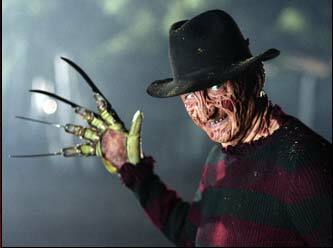 “A Nightmare on Elm Street,” went on to have 4 sequels, and Freddy himself was featured in three more films after that. Add to that a short lived TV series called, “Freddy’s Nightmares.” Oh yeah, and novels and video games, too.